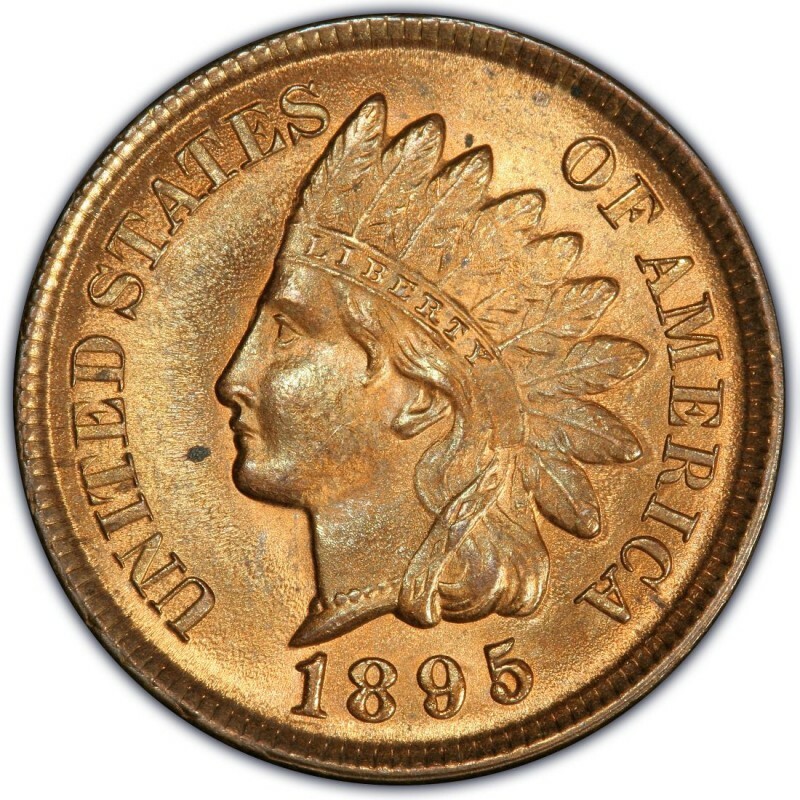 1895 Indian Head cents are highly common coins as far as numismatists are concerned, even though any Indian Head penny is virtually impossible to find in pocket change these days. 1895 pennies are widely available at coin shops and are commonly encountered in mixed-date rolls and bags. Most 1895 pennies are snapped up by coin collectors who are assembling type sets, and they are also pursued by numismatists who are putting together a series collection of Indian Head pennies. 1895 Indian Head cents were struck to the tune of 38,343,636 pieces and sell for $2 each in a grade of Good-4. 2,062 proofs were also made, but these scarce pieces retail for a much higher price than their business-strike counterparts; average retail for a choice proof 1895 penny is $1,275. 1895 Indian Head pennies were designed by James B. Longacre. He served as the Chief Engraver of the United States Mint from the years 1844 until 1869. 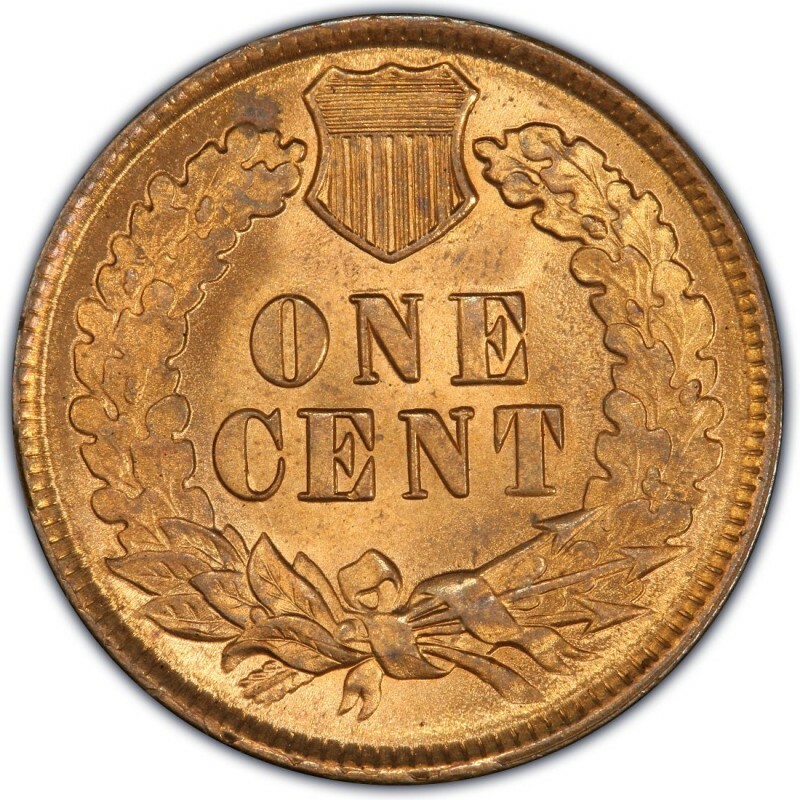 Not only did Longacre gain fame for designing the Indian Head penny, which debuted in 1859, but he also was the creative mind behind the two-cent coin. In 1864, that became the first U.S. coin to bear the motto IN GOD WE TRUST.